These double layered Chevron Ear Jacket Earrings are a great way to think out of the box with your style and feel fashion forward and creative. 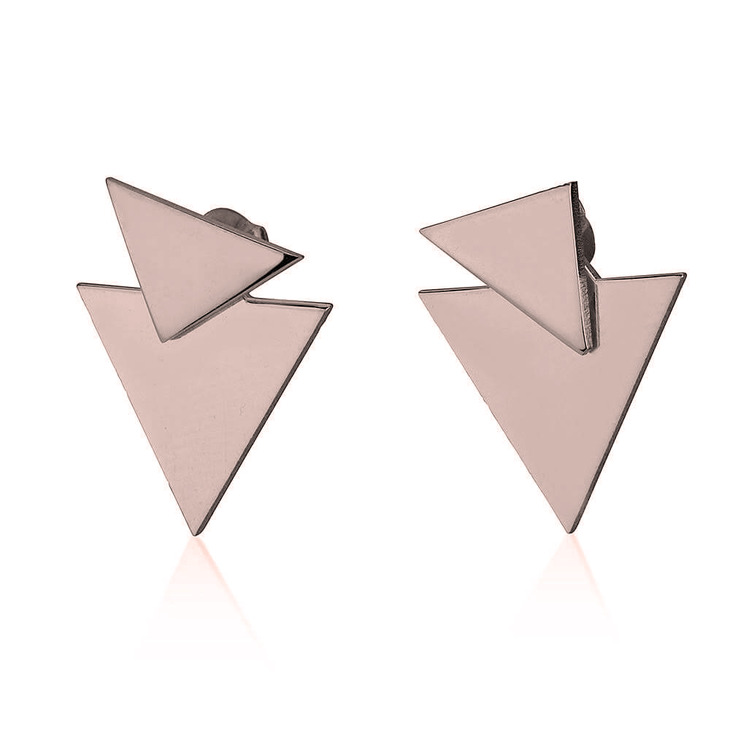 These modern triangular layered studs are made from sterling silver and can also be plated in rose gold or 24K gold . 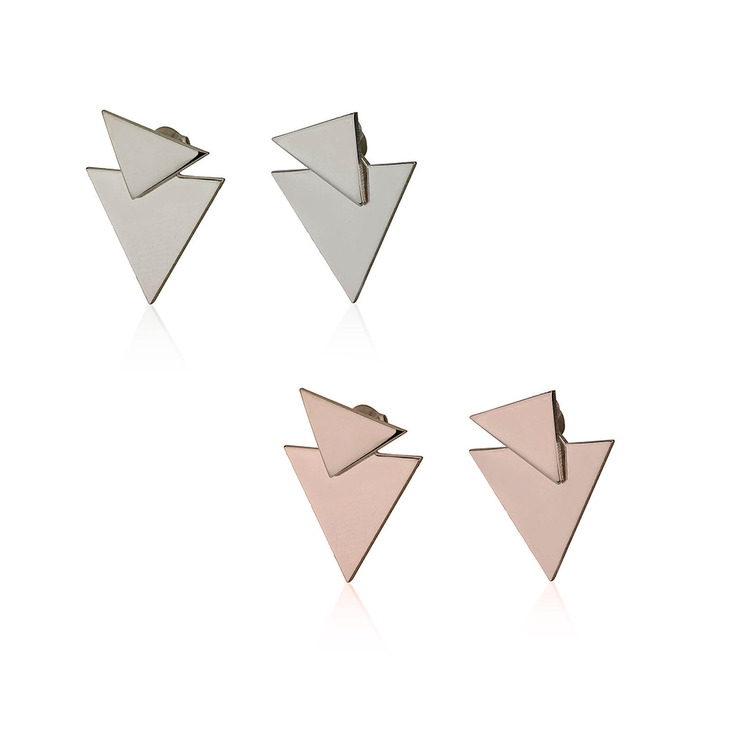 These chevron ear jacket earrings are super eye-catching and the perfect way to express your creativity this season! Wear these earrings with a matching chevron style necklace, or give them as that perfect gift for that fashion forward girl in your life. Order Now! 16mm x 18mm / 0.6" x 0.7"